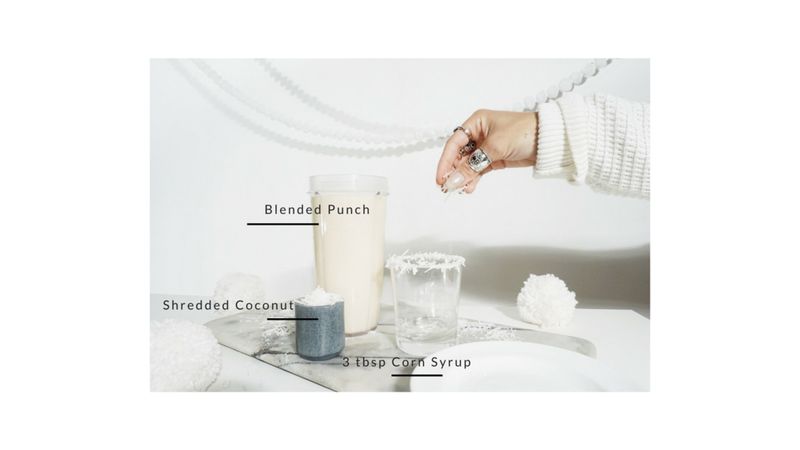 We whipped up 3 yummy and pretty festive drinks that are sure to get ya into the holiday spirit, they're all easy to make and will be a huge hit at your holiday parties - we promise! These recipes don't include alcohol but a few shots of rum or vodka could easily be added to any of them to spice things up a bit. Everyone loves a good holiday punch! Tangy and fizzy, this is the perfect holiday punch recipe and comes together in a few minutes – so easy. Enjoy it with your Thanksgiving meals or around a bonfire with your family and friends later that night, either way it is a must make. This peppermint white hot chocolate is the perfect mix of creamy and sweet with a pinch of peppermint, it seriously is so dreamy. We used unsweetened almond milk to lighten it up a bit, topped it off with extra whipped cream and crushed candy cane. It's like Christmas morning in a cup, yum! Go pick out a Christmas tree, break out the decorations, put on some holiday jams and make this white Christmas punch. 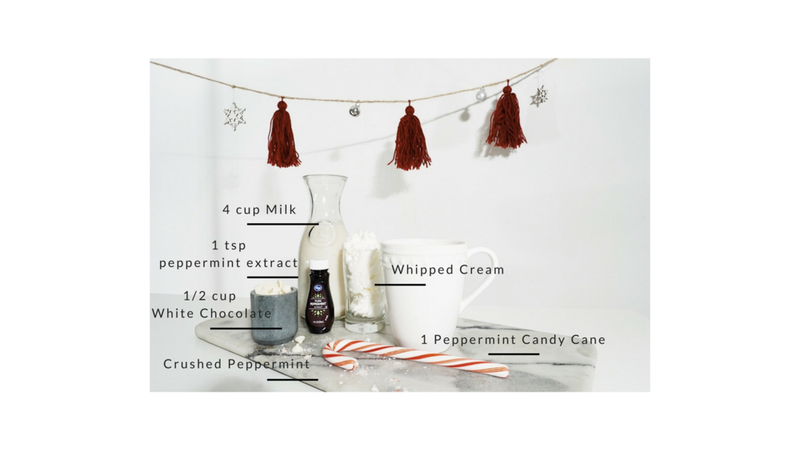 We are obsessed with baking and making pretty, festive goodies around the holidays and this drink is no exception. Don't skip out on the garnishes, they're the best part! The girl with the hair, based in Atlanta with pieces of her soul all over the world. Always wearing distressed denim and too many rings.